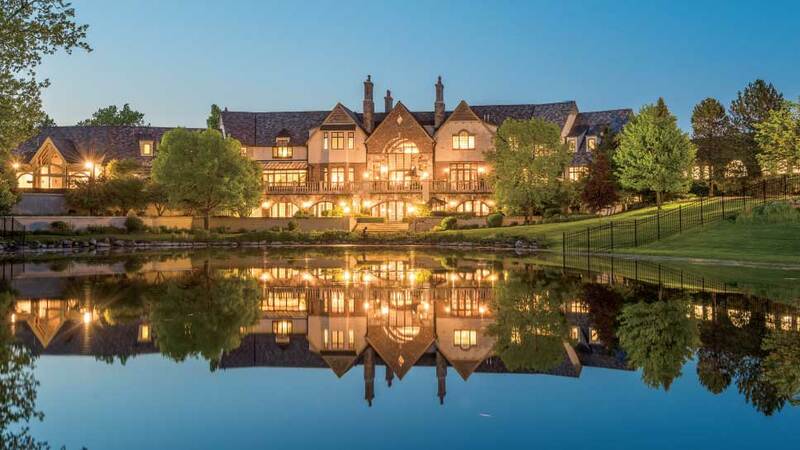 For those who want to enjoy every luxury that life in Barrington Hills offers, a stunning property at 7 Fox Hunt Road offers 30,000 square feet of living and more than 70 acres. Priced at $14,888,000, Hidden Ponds awaits its next owner. Every so often, art is created with brick and mortar. 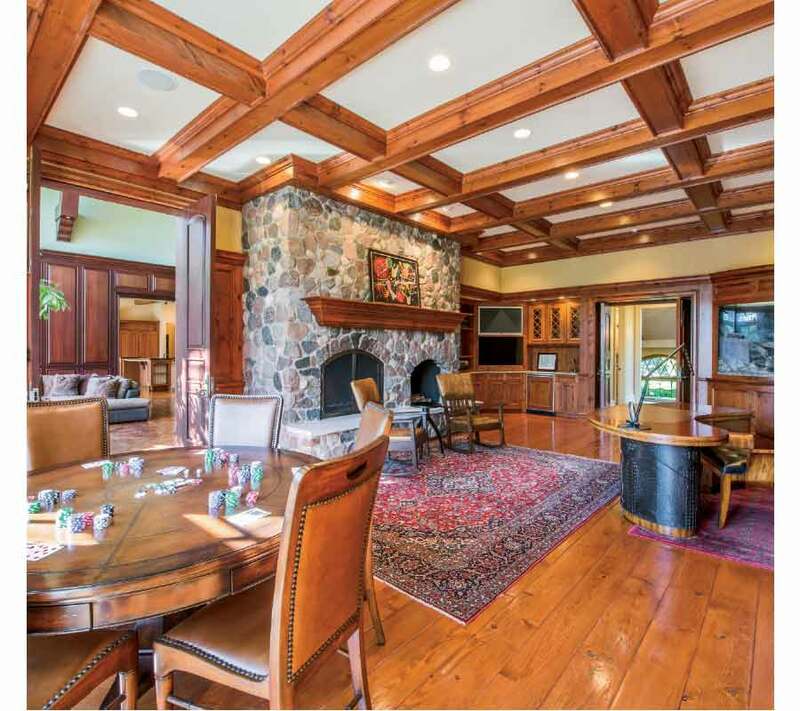 For the connoisseur of life, this grand Barrington Hills estate at 7 Fox Hunt Road is in perfect harmony with its surroundings. Built in 2004 to meticulous standards, Hidden Ponds is located on 70 lush rolling acres—featuring a 30,000-square-foot manor home with every amenity you could dream of. It’s a horse lover’s dream-come-true with private ponds dotting the property and breathtaking views from within the magnificent European manor estate. Built for entertaining and living life to the absolute fullest, a front entry beckons guests through the magnificent foyer—with a fire roaring in the oversized hearth—into the two-story great room overlooking the large pond outside. Featuring a slate roof and other high-end features, the 8-bedroom (with 9 full baths and 5 partial baths) home exudes luxury and class with every arch and angle. Guests can enjoy the full-size English pub for cocktail hour or family celebration. After an elegant dinner—with wine selected from the wine cellar—both men and women will happily retire to the gentleman’s library for a brandy, a game of backgammon, or conversation and classical music. During summer months, guests and children can sunbathe and splash about at an outdoor pool party, or practice their putting on the three golf greens. After all this imbibing, a work out in the commercial-grade workout facility or play a game of hoops in the regulation-size gymnasium might be in order. Afterwards, escape to the Italian solarium, relaxing spa, or the private massage room. Additional amenities that suit the lifestyle including a multi-car collector garage, elevator, and ample room for a helipad. If you’ve ever wanted your own private resort, it doesn’t get better than this Sotheby’s International Realty property. For more information, contact Connie Antoniou at 847-508-7775 or visit sothebysrealty.com.